Lately, I have been blessed with ever more magical moments and with ever increasing gratitude for this precious and lucky life. Usually these magical moments have happened synchronistically and unexpectedly. And often they’ve involved spiritual experiences with people, creatures or Nature, which I call “holy encounters”. Just before the recent solstice holidays, I was blessed with a magical visit to a beautiful San Francisco view place which I had never before seen. And there I met a lovely man, Daniel Raskin, who shared with me a haunting story (which follows) of his unforgettable spiritual experience in a remote Utah desert canyon. I moved from Chicago to San Francisco in 1960, attracted by San Francisco’s climate, physical beauty and ambiance. Within its boundaries are more than fifty hills, several islands, and significant stretches of Pacific Ocean and San Francisco Bay. So, while living in San Francisco I have visited and enjoyed almost all of its best known view places. 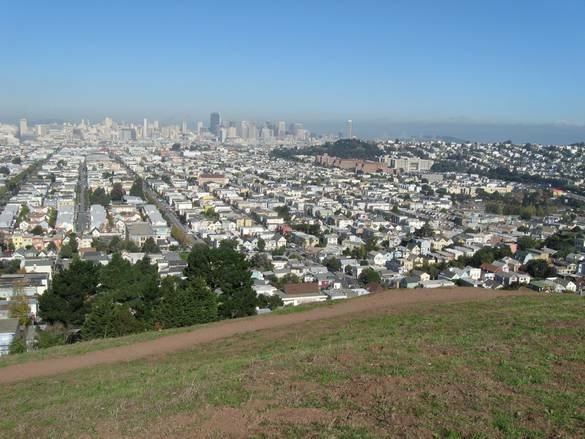 But until recently I never had known about or seen the spectacular view from atop Bernal Heights a hilly neighborhood above San Francisco’s outer Mission and Bay View districts. Then, just before Christmas, I was invited to attend a beautiful holiday dinner party hosted by Shelley Cook, a very talented and intuitive massage therapist who has been skillfully helping heal and realign my body since it suffered a painful lower back yoga injury. At the party there were many lovely artistic people, all much younger than me. One of the other guests, Audrey Daniel, a professional photographer/videographer, told me she had lived for many years in San Francisco’s Bernal Heights district, which she regarded as San Francisco’s most charming and typical neighborhood – like a village within the city. Whereupon, realizing that I had never yet visited Bernal Heights during my 50+ years as a San Franciscan, I became curious about seeing what Audrey was describing. My curiosity was soon satisfied synchronistically by The Lone Arranger, my ‘appointments secretary’. A few days after the party, at Shelley’s request, I unexpectedly rescheduled my regular afternoon appointment with her to morning, so she could accommodate some people from Santa Cruz who’d just been injured in an auto accident. Upon finishing our morning massage therapy session, Shelley had extra time before her afternoon appointments. Generously, she offered to show me a nearby Vedanta healing center and shrine which she had long been urging me to visit. So we went to the shrine. 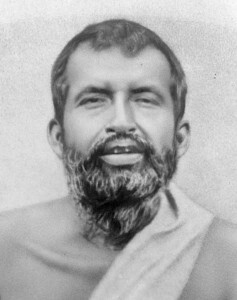 There, as I gazed at an image of Ramakrishna Paramahamsa – a nineteenth century Hindu saint with whom I have long felt special affinity – I experienced a deep Divine mood, and cried copious tears of devotion. Thereafter, when Shelley and I left the shrine, it was lunch time. And instead of returning home to eat, I unexpectedly went with Shelley to a restaurant which she recommended. At first she suggested a nearby Asian restaurant, but then she suddenly intuited that we would probably more enjoy going to a place on Bernal Heights. So, four days after hearing from Audrey Daniel about the Bernal Heights district, I visited that area for the first time in my life, and there enjoyed a delicious Mexican lunch with Shelley. After we ate and before returning to her studio, Shelley urged me to hike atop Bernal hill to enjoy the magnificent panoramic view of San Francisco, instead of taking my usual daily walk by the Bay. So, still in spiritual mood from my experience at the Ramakrishna Vedanta shrine, I walked up steep streets to the base of Bernal hill. There I approached the first person I encountered, seeking directions to the hilltop trail. But instead of a quick encounter about directions, we had an extended dialogue. It was Daniel Raskin, with whom I enjoyed a long spiritual chat and experienced a ‘holy encounter’, before we parted and I beheld the spectacular panoramic view from atop Bernal Hill. Synchronistically, Daniel identified himself as a photographer living in the Bernal Heights vicinity, like Audrey the photographer responsible for my curiosity about that neighborhood. And when I mentioned Audrey, Daniel said he had participated and appeared in her documentary film The Owls of Bernal Hill. aromatic sage; also juniper, cacti, local grasses and, here and there, a late blooming flower. The sky was perfectly clear, deep blue, and the sun fierce. Most of the hike was in full sun; the temperature in the nineties by ten or eleven. shade of the canyon, oaks and plants with red berries grew. As soon as I got into the shade of the canyon walls, I began to breathe rapidly. I did not feel I had over-exerted myself, and did not understand why I was breathless. I began to feel slightly nauseous, faint and dizzy. I also felt very moved by the beauty surrounding me. I began to feel very emotional. My heartbeat was rapid and my breath uncontrollably fast and deep. I began to feel like I had taken LSD. I sat down. My condition intensified. I began to cry, copious tears. I was simultaneously relieved, frightened and confused. My thoughts and feelings wandered freely. As I continued to cry, I felt over-joyed to be alive. I felt blessed to enjoy the relative security of my middle class existence. I thought about my partner Ann. I thought about her ovarian cancer. It almost killed her, but now she is healthy again and stronger in new ways. I thought about Jesse, my twenty-one year old, and how he is now thriving after a difficult adolescence. I thought about Sam, my sixteen year old. He has survived a risky and chaotic early adolescence, and is stronger and more mature. I felt my love, my powerful love for my family. All this time I was crying and breathing deeply. I thought about the miracle of being alive, of experiencing existence in the midst of infinite eternity. What explains my chance to experience life? Who or what, ultimately, gave me and all of us this miraculous gift? dispersed about the headwall to view the great array of petroglyphs. 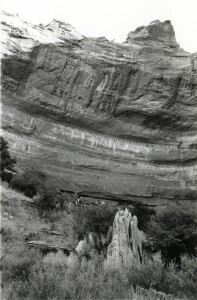 There were animals, human figures, designs and scenes pecked into the rock. The most impressive was a figure of a one-legged person. People with deformities were sometimes holy people in Native American cultures. After looking at the rock art I investigated the remains of a kiva. A coyote had made a lair in its recesses. I found a small rodent’s jaw. I climbed down to the canyon floor. Datura, a hallucinogenic plant was growing there. I wondered: “am I in a sacred place?” After a while we left the canyon, had lunch, visited more rock art sites and returned to camp. I felt light-headed for several hours. What happened to me? Did I become delirious from the heat? Was I freaked out by the rigors of this trip, lonely for my family? Maybe. But why did this happen today, rather than on another hot, hard working day? 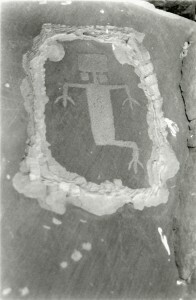 And, why did this happen in a place with a petroglyph of a one-legged person, a kiva and hallucinogenic plants growing? I’d like to say I had a vision, if saying that didn’t feel arrogant and presumptuous. Who knows? Fortunately, life is full of mysteries. After returning home: I shared my experience with Ann. She said that I had had a spiritual experience about the gift of life and the power of love, as she had had when she was sick with cancer. 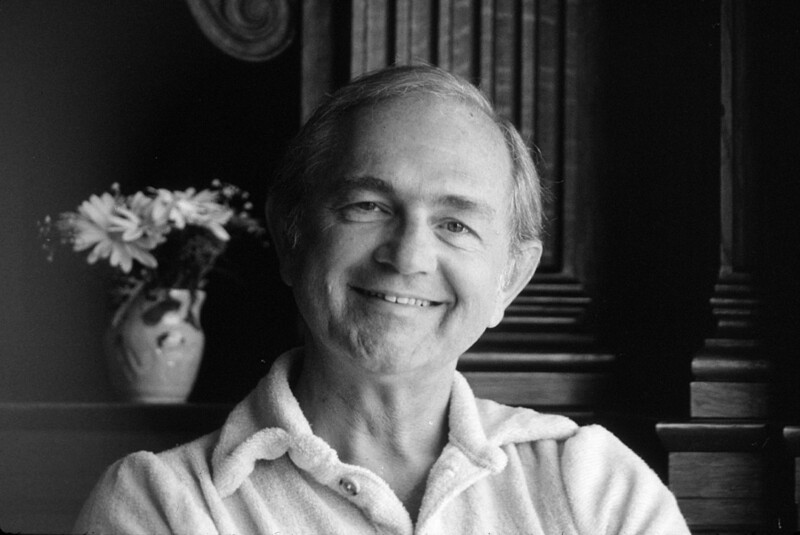 * Daniel Raskin is a retired San Francisco preschool teacher and photographer. Do you agree (as I do) with Daniel’s partner Ann that he “had a spiritual experience about the gift of life and the power of love”? And didn’t Daniel’s spontaneously copious tears express more eloquently than any words the heartfelt depths of his joy and gratitude for this blessed life? 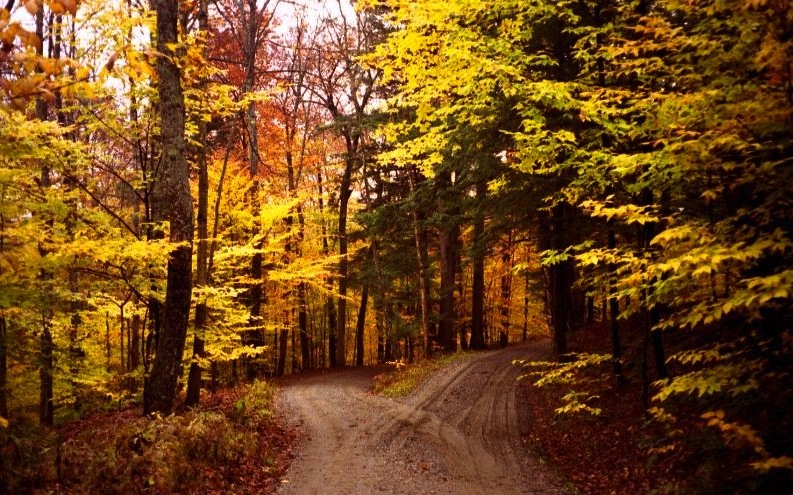 Daniel’s deep spiritual experience, shows us that we don’t need religious rituals, beliefs or dogma to experience Divinity; that, beyond religion, our grateful communion with Nature can be an equally powerful spiritual path. but Thy will be done”. of simply surrendering to Life, and allowing it to live us as it may. Before surrendering, we may egoically think ourselves separate from other beings and life-forms, and that we are in ultimate control of our lives. not separate from it, and that Nature Knows best and is in control, we more and more allow Nature, not ego, to guide us. arising gradually as we gain implicit trust and faith in Nature’s supreme perfection. And as our faith in Nature grows, ego goes. and ever more surrender to Life. Revealing we are THAT, to which we have surrendered. On retiring one Saturday night, I planned going to Trader Joe’s first thing in the morning, for bananas and other needed provisions. But I was unexpectedly delayed for over two hours. From 6:30 to 9:30 I experienced recurrence of traumatic post-colonoscopy diarrheal episodes. Finally, by 10 a.m., I was pooped out and showered and ready to go to Trader Joe’s. But when I got into my garaged Prius, the battery was dead. Almost another hour passed before AAA had responded to my emergency call and jumped the Prius’ battery to get me going. But instead of heading straight to Trader Joe’s, I needed first to drive for twenty minutes to recharge the battery. So, I finally arrived at TJ’s a couple of hours later than planned. There I discovered that two important items on my shopping list – gluten-free rice bread and blackberries (which are anti-diarrheal) – were not on the shelf. Disappointed, I was about to check out empty carted when a smiling TJ employee offered to look in the stock room for the missing items. So, instead of checking out, I waited for longer than expected. While I was waiting, a special friend from my Aquatic Beach kook group appeared in the store. It was Hippy Dave, the singing, cycling, sadhu who is one of the most extraordinary people I’ve ever met. (Dave’s birthday is May 8th, horoscopically exactly opposite my November 8 birthdate.) Because of cold and inclement weather at the beach I hadn’t seen Dave for a couple of months. But there in Trader Joe’s, Dave and I had our usual wonderful synergistic ‘satsang’, greatly recharging our spiritual and psychic batteries. And while we talked the smiling Trader Joe’s man finally emerged from the stock room, triumphantly holding up my non-glutenous bread and anti-diarrheal blackberries. The diarrhea, the dead battery, and the empty bread and berry shelves, together proved to be consecutive disguised blessings. But for their unexpected sequential occurrence, I wouldn’t have met Sri Dave and enjoyed our great Trader Joe’s satsang. And but for the smiling TJ man, I would have checked out empty carted before Dave’s arrival. 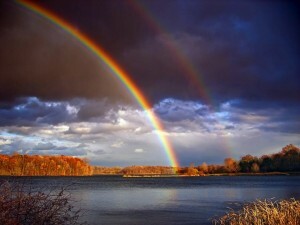 Look for the disguised blessing in every experience, especially in every difficult experience. On a Monday, I purchased two bags of Granny Smith apples at the Rainbow Grocery. I had then been accustomed to eating just half an apple daily. But the apples were a bit small and especially delicious. So instead of eating just half an apple (as I’d been doing) I started eating a whole apple daily. On Friday I realized that I wouldn’t have enough apples to last until my next planned trip to Rainbow, and thought that I’d need four more apples before then. Later, on taking my usual walk through Fort Mason to the beach at Aquatic Park, I was walking up the steep bayside paved road for pedestrians and bicycles, when as I came to the summit my path crossed synchronistically with that of my friend Carol Schuldt (the legendary then 76 year old swimmer/surfer/cyclist). Like a mountain goat she emerged from walking on the natural steep bayside cliff below the road, and she climbed up onto the paved path where I was walking. I asked in astonishment, “Carol what were you doing walking down there?” She replied that she didn’t like to walk in crowded places where others walk, but was glad to see me because she had brought me something in her backpack. Carol and I then walked together to the beach, where she removed her backpack, and gave me four fresh apples which she’d brought for me. After living alone for over thirty years, I cannot remember any recent time when I’ve felt lonely or bored. Though I very much enjoy and require regular interactions with people, animals and nature, I’m invariably happy and savor solitude whenever I am alone at home. However, soon after my 1976 divorce there were many times when I felt quite lonely and craved adult companionship and social contact – especially on weekends when I was alone and not working. Gradually, such feelings of loneliness faded away and finally disappeared. And I preferred being alone – while in my apartment and while regularly jogging or walking along the Bay or in nature places, like the Point Reyes National Seashore. Moreover, with continuing spiritual practices and amazing synchronicities, more and more I experienced a subtle connection with everyone and everything, and realized that at a subtle level I was never really alone. The last time I recall feeling rather lonely in my apartment was just after my beloved Guruji – Shri Dhyanyogi Madhusudandas – returned to India in 1981. Until his departure, he and his entourage had been living with me for several weeks. He was then constantly attended by several people who also slept in my apartment. And many others came every day as helpers and visitors. Never before or since then has my apartment been the scene of so much activity, with so many people. Never before or since then has my apartment had such a palpably powerful and magnetic spiritual ambience. Then after Guruji’s departure, in abrupt contrast to the period of his visit, I was suddenly living all alone again without any human company, and without Guruji’s extraordinary shakti energetic presence. 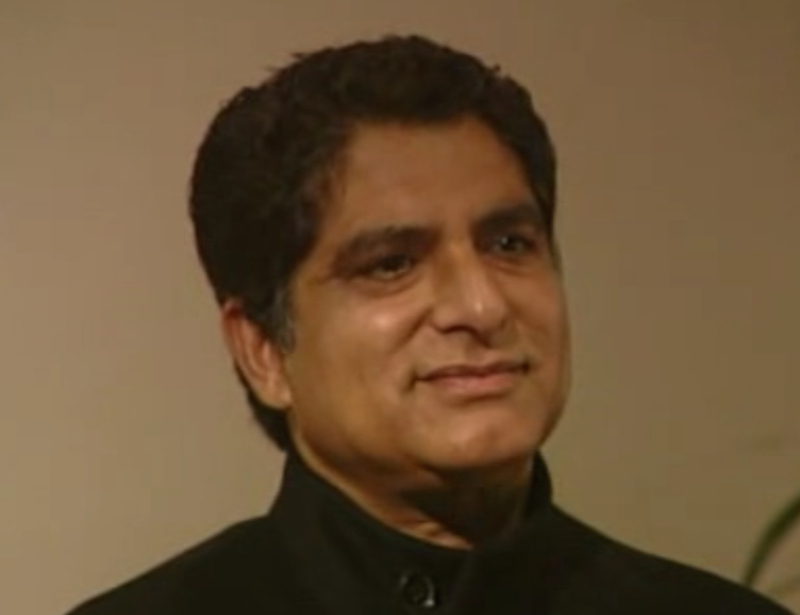 So, at first, I felt somewhat lonely – especially missing Guruji’s powerful presence. But, soon thereafter, I had an amazing synchronistic experience which assuaged my loneliness feelings, and which reminded me that I’m never really alone. One lovely weekend morning, I arose from an extended period of prayer and meditation in my living room, unknowingly in an elevated and abstracted state of awareness. It was a beautiful sunny day, without any fog obscuring my panoramic view of the Golden Gate and the Bay. Then, looking far westward toward the Golden Gate bridge I saw glimmering in the sunlight a distant lone white sea gull gracefully flying and hovering in the wind currents. And almost immediately the sea gull obliged. It banked, turned and flew from far away directly toward me until it landed and perched on the West deck railing of my apartment, just a few feet away from where I was beholding it through a floor to ceiling living room window. And again the bird obliged. And again the bird obliged. It remained on that ledge until I found some bread and seeds, opened the North window, and fed it. Finally, after eating, the bird flew away. But that didn’t end our magical new relationship. Not only did my new sea gull friend later return for a few more feedings, but for several months it often ‘reciprocated’ my kindness by treating me to extraordinary aerobatic displays. Just as captive dolphins or other marine mammals might constantly swim round and round in their confining pool or tank, my sea gull friend often visited me by flying round and round a large open space between the front of my twelfth floor apartment (on the north side of my high-rise apartment building) and a row of five high-rise buildings half a block away on Vallejo street. All of these extraordinary sea gull visitations happened when I was alone in my apartment, except one. On one occasion the bird appeared when I had a visitor from out of town, my friend Steve, who like me was both a lawyer and an initiate of Guruji. After Steve witnessed my sea gull visitor, I remembered that Guruji once told us that some advanced yogis have the ability to enter or possess bodies of other creatures, even scorpions in caves conducive to meditation. So I wondered then whether Guruji had sent that sea gull to assuage my feelings of loneliness on his departure. But, however it happened, the sea gull experience proved a crucial blessing because it synchronistically bestowed an important evolutionary insight about how our concepts of “reality” determine and disrupt our ‘relationship’ with Nature. My communication and communion experience with the sea gull happened because I was in an elevated and intuitive state of consciousness uninhibited by my usual limiting beliefs about “reality”, and about our apparent separation from other life-forms. Thus, that unforgettable experience demonstrated our human potential to intuitively feel loving oneness with all of Nature. 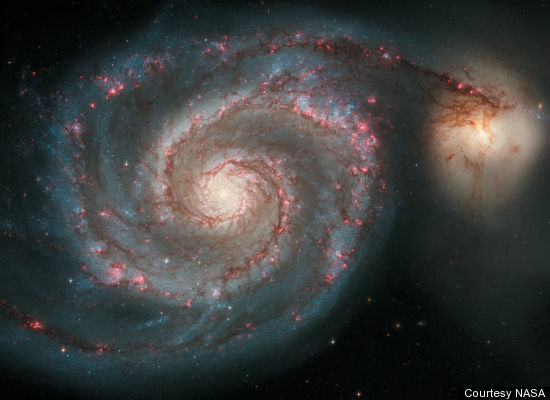 It was a dramatic reminder of our cosmic consciousness connection with all seemingly separate life-forms. Throughout human history indigenous societies have intuitively revered and communed with all of Nature. In such societies, my sea gull experience might have been considered quite ‘normal’, not at all unusual or noteworthy. But in our present technological age, most humans have lost their innate ability to be attuned and harmonious with all of Nature. So, paradoxically, it is only our species – the species which considers itself most advanced – that is causing serious natural disruptions, disharmonies and ecological crises. Like my sea gull friend, other creatures without any conceptions about “reality” are spontaneously harmonious with Nature. So I view my sea gull communion experience as symbolic of our ever innate human potential – and urgent ecological imperative – for returning to an elevated heart level of awareness from which spontaneously, intuitively and harmoniously we shall honor and cooperate with Nature, thus allowing all life everywhere to survive and thrive. On moving from Chicago to San Francisco in 1960, I knew virtually nothing about saints and was largely uninformed about religions other than Judaism. Even though Saint Francis of Assisi was patron saint of my new home town, I remained ignorant of his life story until after my profound spiritual opening in 1976. Then, about two years before meeting my Guruji, Shri Dhyanyogi Madhusudandas, I began having synchronistic inner and outer experiences concerning Saint Francis of Assisi, of whom I was previously ignorant. Because of those experiences I developed deep affinity with and great curiosity about this legendary saint, and regarded Saint Francis as an archetype to be emulated. Soon I began and have ever since continued daily recitations of the “make me an instrument of Thy peace” prayer associated with him. 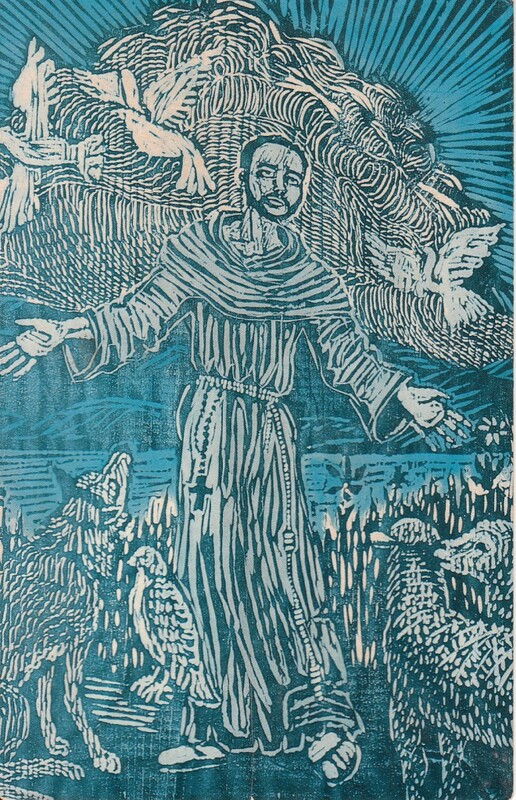 But I was unable to satisfy my curiosity about Saint Francis until ten years after to my 1982 pilgrimage to India. Then on retirement from legal practice in 1992, I made pilgrimages to India and later to Italy to honor my beloved Guruji and ‘Francesco’. In spring 1992, I journeyed to the Umbrian town of Assisi, Italy, where Saint Francis was born and resided for most of his inspiring life, and where I experienced an extraordinary feeling of déjà vu, like that experienced in India at the temple home of Shri Ramakrishna Paramahansa in 1982. My pilgrimage stay in Assisi and an excursion to Mount La Verna in Tuscany – where Francis became the first saint to receive the crucifixion stigmata of Christ – proved magical, There, with intense and tear-laden emotion of devotion, I was blessed with a few of the most memorable spiritual experiences of this lifetime, which I will hereafter recount. Arrival at Assisi and Worshiping at Tomb of St. Francis. The Ananda center had been founded by Swami Kriyananda, a prominent direct disciple of Paramahansa Yogananda, who in Autobiography of a Yogi referred to St. Francis as an “apostle of humility”. So, it seemed an ideal place for me stay as a “born-again Hindu” devotee of St. Francis. Eight hundred years after Saint Francis had walked in that lovely Umbrian town it seemed for me that it was everywhere still pervaded by his sweet life-force shakti; with its emanation being especially intense at the site of his entombed remains. Afterwards I unforgettably experienced that same familiar life-force emanation at other Assisi shrine places. Hereafter I will tell you about three more memorable experiences of communing with the spirit of St. Francis in Italy. One of the most profound of those experiences happened as I visited a tiny frescoed chapel outside Assisi called by Francesco Porziuncola [“the little portion”]. He and his early followers had restored it from a ruined condition to become first home of the Franciscan order. And it was Francesco’s favorite place on earth. Here, he lived, fervently prayed, wrote his rule, created his order of friars minor and consecrated his friend Clara (Chiara), who became Santa Clara, founder of a female order dedicated to Franciscan ideals of holiness and poverty. Francis so loved this little place that he chose to die there. In 1216, Francis had a legendary vision in the little chapel. After fervent and tearful prayers, a light filled the chapel and he saw above the altar Christ, the Virgin Mary and a company of angels. They asked him what he wanted for the salvation of souls. In response Francis requested that all those who might enter the chapel and contritely repent their sins be granted a pardon and remission of all such sins. Whereupon Francis was told by the heavenly host that his request was granted. Thus, the Porziuncola was thereafter Papally blessed with “The Pardon of Assisi” so that those who enter and repentantly pray there are pardoned of their sins, and it has been proclaimed a ‘world holy place’. Having paid respects to Saint Francis at the basilica where he is entombed, my next pilgrimage destination was the Porziuncola. But I went there unprepared for what I saw. In reading biographies of the saint I had focussed on his simplicity and humility and somehow missed description of the giant basilica which had enveloped his beloved tiny headquarters chapel. I didn’t realize until then that by Papal order, three hundred fifty years after Francis’ death, the great Basilica of Santa Maria degli Angeli (Saint Mary of the Angels) was erected over the simple Porziuncola chapel – Franceso’s “little portion” – and that all its original outbuildings were demolished, except the simple cell where Francis died. 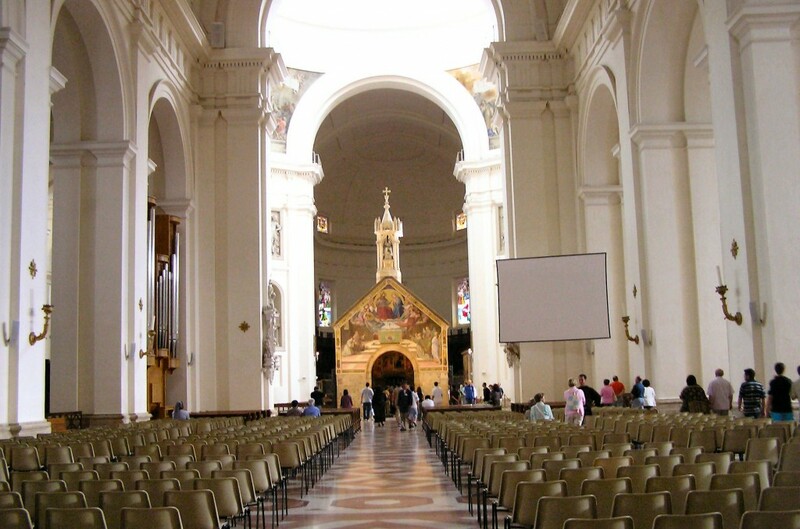 So I felt a bit bewildered on approaching and entering the grandiose basilica – so inconsistent with Francis simple life and message – and wondered what he might say about it. But I found my way to the tiny chapel which was situated directly beneath the basilica cupola. And after waiting in line with others, I was able to enter and sit in the tiny and simple Porziuncola. With renewed déjà vu, I immediately experienced an almost palpable aura of the saint’s supernal love, and spontaneously cried deeply and intensely. I was so overcome with emotion that I lost track of time. On regaining my senses, I realized with a guilty conscience that I had overstayed my time there, while other pilgrims waited in line for a chance to enter, and perhaps to repent and be absolved of their sins. So in a highly “enshakticated” [love intoxicated] condition I slowly got up and walked out. With continuing déjà vu I strolled to the place there where Francis died on October 3, 1226. Then, still in an altered state of awareness, I returned to the Ananda center after one of the most memorable experiences of this lifetime. Memory of that exquisitely simple little chapel and its aura of supernal Love has remained enshrined in my heart ever since my one visit there. 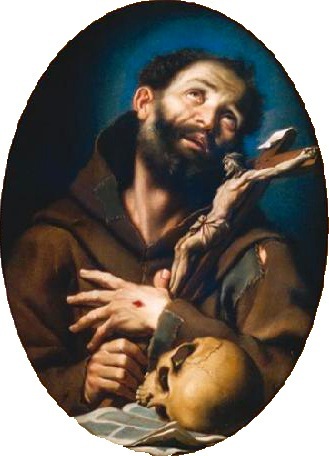 Although I have never since returned to that holy Assisi place, which Saint Francis named and loved, my cherished memory of the Porziuncola was revived following a surprising and synchronistic ‘holy encounter’ and discovery – almost thirty years later – of a San Francisco Porziuncola Nuova. Never have I thereafter entered that San Francisco holy place without experiencing supernal love and tear laden emotion of devotion as in my pilgrimage to the Assisi Porziuncola. Biographers of Saint Francis all agree that he had a transformative experience in an old and semi-abandoned church just below Assisi – the Church of San Damiano. There while he was enchantedly gazing at the painted wooden crucifix – a Byzantine image of the crucified Christ still alive on the cross – the silent voice of Jesus telepathically ‘spoke’ to Francesco, instructing him: “Francesco, Francesco, go and repair my house which, as you can see, is falling into ruins.” Thereafter, he devotedly began rebuilding San Damiano and other ruined churches, including the Porziuncola. While repairing San Damiano, Francis often sang songs which spontaneously came to him. And he thereby attracted neighboring farmers and other visitors, presciently telling them that this ruined church would some day become a holy place attracting servants of God. And it did. 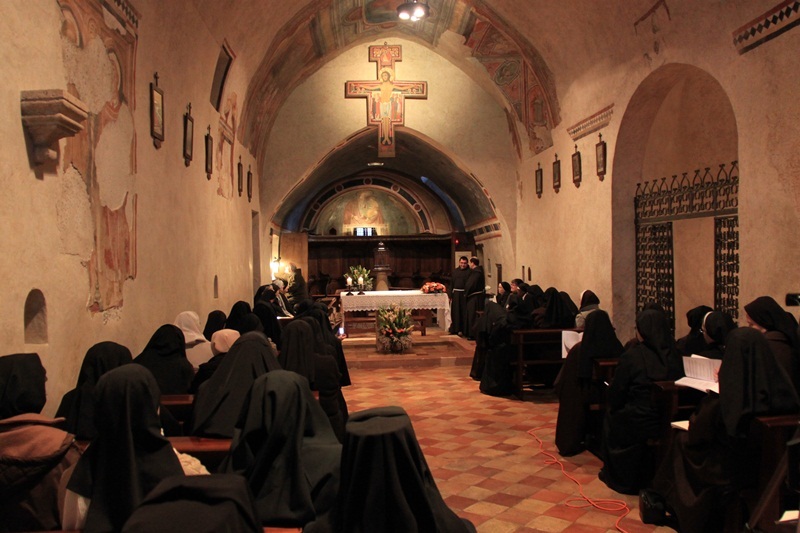 As Francis predicted it was here that his friend Clara (Chiara), who became Santa Clara, founded Poor Ladies of San Damiano a female order and lived a cloistered life dedicated to Franciscan ideals of holiness and poverty. Though Saint Francis took literally Jesus’ mystical message from the San Damiano crucifix, its true meaning proved metaphoric and profound. And by the end of his short lifespan, Saint Francis and his order had by their example inspired a renaissance of the Catholic Church from its then apparent corruption by worldly wealth. Thus, as a pilgrim honoring Saint Francis, one of my most important planned destinations was the Church at San Damiano. At the Ananda Center I was urged to visit San Damiano for early morning mass then being celebrated by Franciscan Friars with beautiful ecclesiastic chanting. In following that advice, I was blessed with one of the most memorable and beautiful experiences of this lifetime. My drive from the Ananda Center to San Damiano proved extraordinary. It was a sunny and beautiful spring morning, with azure blue sky and small white cumulous clouds. On turning off onto the quiet country road leading to my destination, the verdant landscape was ethereally beautiful – abounding with gorgeous blooming wild flowers. As I beheld this beauty it seemed as if I was enjoying a waking dream of being in heaven on earth. And again it invoked that sweet feeling of déjà vu which followed my first vista of the Assisi environs. Thus, I arrived at the San Damiano chapel already in a somewhat ‘altered’ state of awareness, just as mass was about to begin. At the chapel portal I was surprised to see that the entire small sanctuary was already filled with people, and that I could not observe any remaining place to sit. So, as the chanting began, I stood at the chapel entry and began weeping with deep emotion of devotion. On observing me crying there, some compassionate worshippers squeezed together to make space for me to sit down. Thereupon I sat down and continued crying with even greater emotional intensity. That is all I can remember of the mass. Spontaneously, I went into a very deep state of meditation and lost all consciousness of what was happening. I don’t recall how long I was in that state. But when I awakened from it, there was not a soul in sight. I was seated all alone in the San Damiano chapel still in an ‘altered state of awareness’ and gazing at its painted wooden crucifix. * [see footnote]. Thereupon, a ‘silent voice’ from the crucifix telepathically said to me: “Ritorna a me!” – a message in Italian which I did not immediately understand. For a while, my mind remained silent and my body remained still. When I finally reawakened to ‘normal’ body consciousness, I urgently needed to use a toilet. So I got up and left the chapel to find one. But still there was not a soul in sight from whom I could get directions. So I wandered the empty corridors until soon seeing what appeared to be public rest rooms. But there were no signs with international gender symbols identifying them. Instead there were different Italian words on each door. But I couldn’t translate either of them. So, after momentary reflection, impelled by an urgent ‘call of Nature’ I entered what I guessed to be the men’s room. But I guessed wrong. Embarrassed, I made a quick exit, and used the other bathroom. I left San Damiano wondering why God had addressed me in Italian, when I was so ignorant of that language that I couldn’t even find the men’s room. Of course I soon learned – and will never forget – that “Ritorna a me!” meant “Return to me!” And I took it as a Divine message. Since then I have come to realize that, knowingly or unknowingly, every embodied human soul longs to return to its Divine Source. But that virtually all of us, including Ron, need frequent reminders of that eternal Truth. 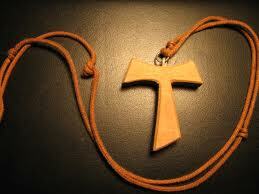 Thus, I recall my extraordinary experience at San Damiano as such a reminder. * This crucifix was an exact replica of the original crucifix worshipped by Saint Francis and Santa Clara, which for preservation had been previously removed to the Basilica of Santa Chiara in Assisi. Notwithstanding my marvelous experiences of Saint Francis in and around Assisi, there remained on my pilgrimage itinerary an important place outside Assisi, Mount La Verna in Tuscany – where Francis became the first saint to receive the crucifixion stigmata of Christ. And also there remained for me great curiosity and a desire to solve the mystery of why – as a secular Jewish lawyer ignorant of Christian saints – I had developed a deep inner rapport with and love for Saint Francis, even before I had met my beloved Hindu Guruji, Shri Dhyanyogi Madhusudandas. Before my midlife spiritual awakening, I had no inner visions and rarely remembered dreams. And even if I remembered them they were colorless and commonplace. But soon after my rebirth experience I had two repetitive extraordinary and mysterious visions or vivid dreams unlike any prior inner experience. I could not see any person at the aperture, but only experienced my consciousness being there and looking out. Below me were monks or friars clothed in simple robes or habits in a verdant open space midst trees surrounding the medieval structure from which ‘I’ was viewing them. Especially noteworthy was the extraordinary etherial light around that scene, which I immediately associated with Tuscany, the Italian state just North of Umbria, where I had visited in 1955. So in 1992 I was anxious to visit Mount La Verna in Tuscany not only because Francis had his ultimate spiritual experience there, but also because of curiosity about those mysterious visions. However, because of my ignorance of the Italian language I was reluctant to journey alone from Umbria to La Verna. Then, synchronistically, a friendly multi-lingual Ananda center staff member familiar with La Verna and intermediate sites visited by Saint Francis compassionately offered to be my driver and tour guide for a full day’s excursion to those places. The entire excursion proved a memorable experience in my already wonderful visit to Italy. With great interest, I saw various places known to Saint Francis. For example, we stopped at the town of Gubbio, where the saint is still venerated for legendarily confronting and taming a fierce wolf which was attacking townspeople and their livestock. But for me our visit to the Mount Laverna sanctuary in the Tuscan Appenines proved the highpoint of our journey. Upon our arrival at La Verna, I immediately intuited – as we observed the grounds and structures there – that La Verna was the place in Tuscany which had appeared in my mysterious inner movie visions eighteen years earlier. Then, I meditated in a wooded area where, with renewed déjà vu, I again felt the supernally sweet presence of Saint Francis. As we departed from that lovely place, I felt great gratitude for our visit there, yet with continuing curiosity about the visions which had long preceded the visit. Though I have ever since strongly felt that La Verna was the place which appeared in those early visions, their meaning remains an unsolved mystery. Perhaps in another lifetime I was at that place, when or after it was visited by Saint Francis. But I don’t know. And it’s probably not important that I know. The Buddha taught that we should avert speculation which will not lead to edification. And speculation about imagined other life times can perhaps detract from fulfillment in this lifetime. *I am describing these visions from memory, because I have not yet found any contemporaneous notes from over thirty years ago. After experiencing these visions I began regarding similar ‘inner movies’ as glimpses of other lifetimes. My experiences of communion with Saint Francis of Assisi in places where he lovingly lived eight hundred years ago were memorably inspiring reminders of our human potential for humbly living a life of eternal love, even under difficult external circumstances. They strongly reinforced my continuing view of that great saint as an archetype to be emulated. When I moved from Chicago to San Francisco in 1960, I was largely uninformed about religions other than Judaism, and knew virtually nothing about saints. Even though Saint Francis of Assisi was patron saint of my new home, I remained ignorant of his life story until after my profound spiritual opening in 1976. Then, through a series of synchronistic inner visions and outer events I developed a deep inner rapport with Saint Francis. And his prayer became – and remained – an important part of my daily spiritual practice. On retirement from law practice in 1992, I made pilgrimages to India and Italy to pay my respects both to my spiritual master Dhyanyogi Madhusudandas and to Saint Francis. 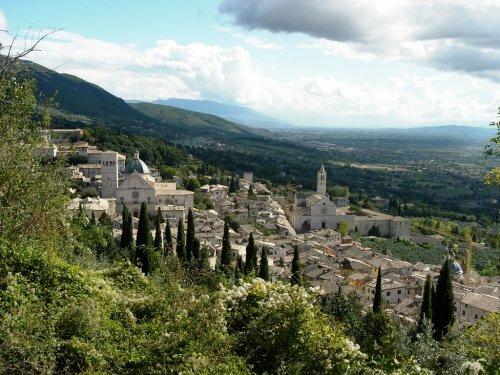 On arriving in Italy in Springtime 1992, I rented a car at the Rome airport and drove northward to the Umbrian town of Assisi, where Francis was born and resided for most of his extraordinary life. As I arrived at the outskirts of Assisi, I immediately experienced a remarkable feeling of déjà vu, and was so overcome with emotion that I had to pull over to the side of the road as I began crying deeply and intensely for a long time. My subsequent stay in Assisi and excursion to Mount La Verna in Tuscany – where Francis became the first saint to receive the crucifixion stigmata of Christ – proved magical, with unforgettable spiritual experiences. One of the most profound of those experiences happened as I visited a tiny frescoed chapel called Porziuncola [“the little portion”]. It had been restored from a ruined condition by Francis and his early followers to become first home of the Franciscan order. Here, Francesco lived, wrote his rule, created his order of friars minor and consecrated his friend Clara (Chiara), who became Santa Clara, founder of a female order dedicated to Franciscan ideals of holiness and poverty. Francis so loved this little place that he chose to die there. As I entered the Porziuncola at Assisi, I experienced a palpable aura of love and was overcome with emotion, cried deeply and intensely and lost track of time. Ever since then, a memory of that exquisitely simple little chapel and its aura of supernal Love has remained enshrined in my heart. Although I have never since returned that holy Assisi place, which Saint Francis named and loved, my cherished memory of the Porziuncola was revived following a surprising and synchronistic ‘holy encounter’ in San Francisco, almost twenty years later. Here’s what happened. After retirement many years ago, it became my practice to walk almost daily along San Francisco Bay. 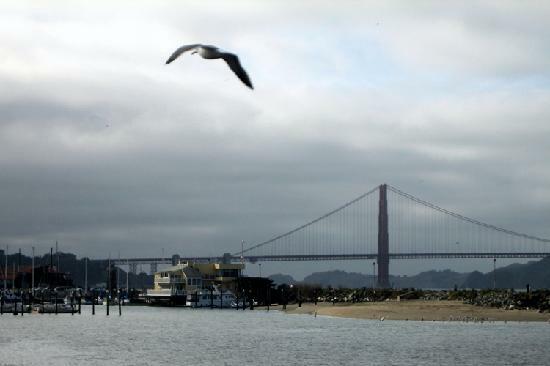 Most often I walked to the Bay following pedestrian paths beside the Fort Mason Great Meadow, which is part of the Golden Gate National Recreation Area (GGNRA), our nation’s newest National Park. As I arrived at Fort Mason on a beautiful and sunny June morning, I was obliged to detour from my usual path to the Bay. The National Park Service had closed the pedestrian paths around the Great Meadow for repaving. So to reach the Bay I had to walk across the grassy meadow. There I saw a very unusual sight. Perhaps hundreds of children, attended by mostly senior adults, many dressed in white, were gathered in the meadow. Many tents were set up for children’s activities, such as face painting and fortune telling. Sweet music was playing on loud speakers. Inspired by the love I perceived and felt there, I continued walking through the meadow and toward the Bay. After hiking out to the end of San Francisco Municipal Pier, I began returning home. Soon, I noticed an unopened bottle of spring water apparently dropped by a cyclist. I picked up the water bottle, determined to give it to someone at the children’s festival in the Great Meadow. As I arrived again at the meadow, I was met by a tall friendly (and thirsty) man named Peter, who seemed to be watching out at the perimeter of the children’s gathering. Though we’d never met, he somehow seemed familiar. In greeting me Peter asked, “would you like to know what’s happening?” After I recounted what I already knew about the festival and gladly gave Peter the bottle of spring water, he told me more details of this event. 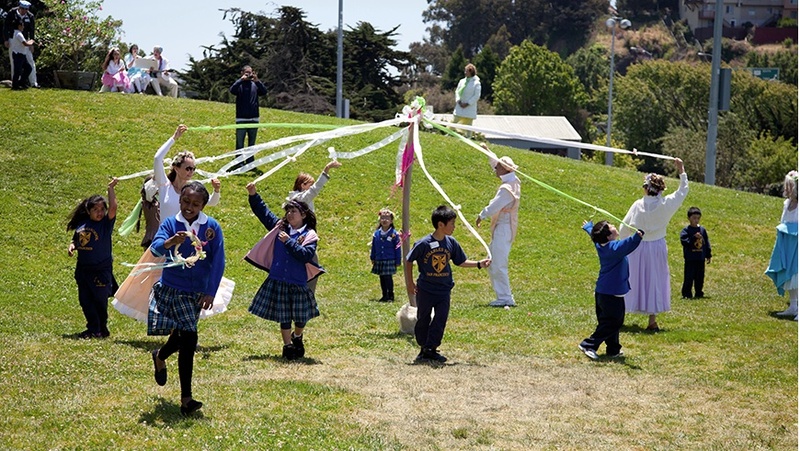 Peter explained that this gathering was like a mini-Umbrian children’s festival inspired by universal values of Saint Francis of Assisi which are similar to those of the Meher School; and, that periodically the school sponsors a play about the life of Francis performed at various venues, including at The National Shrine of Saint Francis of Assisi, located in San Francisco’s oldest church in the North Beach district. I was very surprised when Peter mentioned a national shrine of Saint Francis of Assisi located in San Francisco. Though I’d then lived in San Francisco more than fifty years, I don’t remember ever before hearing about such a national shrine. Moreover as Peter described the shrine, I was amazed to learn that it included an almost exact replica of the Porziuncola at Assisi, recently constructed at the instance of former San Francisco supervisor Angela Alioto. Peter and I then exchanged stories about our respective springtime visits to Assisi and our heartfelt affinity with Saint Francis. On parting we shared contact information. A few days later, I received an email invitation from Peter’s friend and colleague, Terry, to tour the San Francisco Porziuncola shrine, which I quickly accepted. Terry, was both music director of the Meher School’s sponsoring non-profit organization, Sufism Reoriented, and a member of the Knights of St. Francis, a volunteer organization which helps safeguard the national shrine. The tour proved magical for me. With Terry and Peter as guides, I beheld for the first time the San Francisco “Porziuncola Nuova”. Before entering, I noticed carved in Italian on the second marble step a quote from Francesco: “Vi voglio tutti in Paradiso” [“I want you ALL in Paradise”]. On learning what those words meant, I experienced instant heart-felt emotion and tears. As I entered the sanctuary that emotion deepened, and soon overcome by it I was obliged to sit silently in a pew, just as I did in Assisi. And, as in Assisi, profuse tears flowed. Unable to talk, I sat and cried for a while as Peter compassionately attempted to comfort me. In the San Francisco Porziuncola I didn’t lose track of time as I did in Assisi, and after crying for a while resumed conversation with Terry and Peter. But I continued feeling so emotional in that sacred space that I was unable to focus on details of the beautiful pictorial art and artifacts around me, which I later observed on other visits. Before exiting the “Porziuncola Nuova” I gazed upon and gently touched one of the holiest Franciscan relics in the world, a beautifully displayed rock believed to have been used by Francis as a crude tool in his reconstruction of the Porziuncola. After departing the shrine, Terry and Peter and I adjourned for lunch in a nearby restaurant, where we shared stories of how Divine Grace has continuously blessed our lives, as it did on that magical day. And in now reflecting on that wonderful day of rediscovery, I realize that it couldn’t have happened but for my synchronistic detours through the grassy Great Meadow and desire to share a bottle of spring water which I happened to find while walking by the Bay. It seems that Divine Grace often works through synchronicity, and that the more alert we become to such synchronicity the more it happens. * I later learned that this children’s fair was part of an ongoing national program called Francis in the Schools founded in 2010 by Dr. Carol Weyland Conner, spiritual director of Sufism Reoriented. Have you ever wondered about origins of the Santa Claus legend long associated with Christmas celebrations? Why do people associate a mythical red cheeked jolly bearded old man from the North Pole with Christmas? Why is he archetypically depicted as attired in a furry red and white suit and flying through the air in a gift laden sleigh drawn by happy reindeer? Why does he supposedly deliver his gifts nocturnally via chimneys? I began wondering about these questions after experiencing a Santa suit synchronicity. And I found interesting esoteric answers. Many people might suppose that the popular Santa (or Father Christmas) image began in 1823 with publication of the “Twas the Night Before Christmas” poem. But the poem was sourced from customs and legends which long antedated the nineteenth century. I’ll tell about that after first recounting my Santa suit synchronicity story. Especially since my mid-life spiritual awakening, some circumstance or artifact has often fortuitously or synchronistically appeared in my life fulfilling a wish or perceived need. In my spiritual memoirs, I call these experiences “manifestation miracles”. Such “miracles” have been much too numerous for me to totally recall and recount. But, I will be sharing some memoirs stories about them, including this story about manifesting a Santa Claus costume. On a Friday afternoon, I experienced a blissful spinal healing session at “SoulWorks”, the office of San Francisco healer and chiropractor, Dr. Melanie Hernand. During that session I was continuously and spontaneously laughing a lot. Maybe that laughter sounded to Dr. Hernand like “Ho! Ho! Ho!”. For afterwards, she asked me if I would come as Santa Claus to the “SoulWorks” holiday Christmas party, a benefit for The Healing Hearts Project and children of Lake Atitlan, Guatemala. With little hesitation I told Dr. Hernand that I would be Santa Claus at the SoulWorks party, if she helped me find a costume. She agreed. 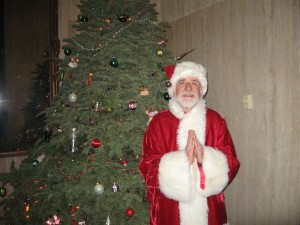 So, joyously I exited SoulWorks that Friday afternoon knowing that I needed a Santa Claus costume. Miraculously the costume manifested that very night without any further thought or effort. 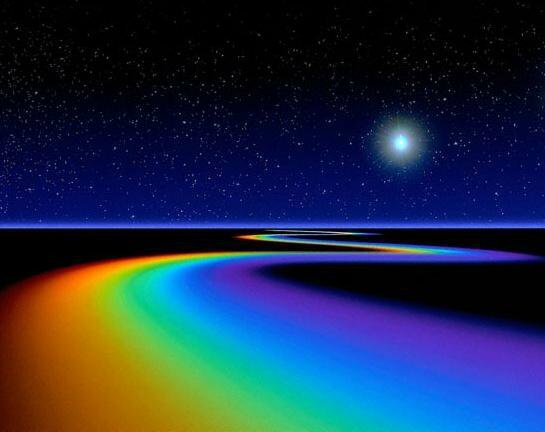 On Friday night I returned home after happily attending a program given by Visionary Activist astrologer Caroline Casey at The California Institute of Integral Studies (CIIS) where I was Board chairman during the 1980’s. It was my first visit to CIIS since leaving there twenty five years ago. And I very much enjoyed and appreciated Caroline’s presentation there. I returned to my apartment building still in a blissful mood, and stopped in the lobby to get my mail. There I met my neighbor Ronelle Strand who was about to walk her dog, Cali, before retiring. Since Ronelle was one of a few people to whom I had given a SoulWorks gift certificate, I mentioned to her that I had just agreed to be Santa at the SoulWorks holiday party. Whereupon she told me that her Bay Music entertainment booking service business had some rental costumes, including a Santa suit which had been in storage and unrented for many years. She offered it, and it was perfect. I watched the video, was intrigued, and wanted to learn more. So, I consulted Dr. Google and fortuitously found interesting esoteric answers to my questions about the Santa Claus myth in a detailed article entitled “The Influence of Fly Agaric on the Iconography of Father Christmas” , also published by BBC. Apparently, the Santa Claus legend arose from shamanic traditions of tribal peoples in pre-Christian Northern Europe, whose sacred psychedelic source was the red and white amanita muscaria mushroom, also known as “fly agaric”, a fungus found in pine and birch woods of western North America, northern Europe, and Asia. 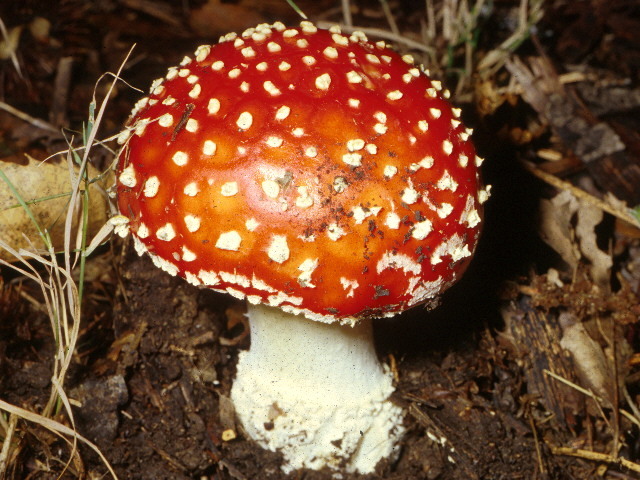 Supposedly, Siberian shamans have used amanita muscaria for recreational or ritualistic purposes for thousands of years. During mushroom-induced trances, they would twitch and sweat before falling into a deep coma-like sleep. During this coma, the shaman’s soul consciousness left his body and ascended to the ‘spirit world’ where it communicated with the spirits about major health problems, such as outbreaks of sickness in the village. On awaking, with new knowledge from subtle sources, the shamans found their muscular systems had been so stimulated that they were able to perform spectacular physical feats with seemingly little effort – like making a gigantic leap to clear a small obstacle. The mushrooms similarly affected reindeer, and mushroom intoxicated reindeer traditionally guarded each shaman. The shamans lived in yurts, tepee-like shelters made of reindeer skin, with roofs supported by birch poles and smoke-holes at the top. During midwinter festivals of renewal, the shamans gathered the mushrooms from under sacred trees. While harvesting the toadstools, they would wear special attire, consisting of red and white fur-trimmed coats and long black boots, very much like the modern day depiction of Santa Claus. They’d then enter their yurts through the smoke-holes, carrying sacks full of dried fly agaric mushrooms, descending the birch pole to the floor. Once inside, the shamans performed ceremonies and shared the toadstool’s psychotropic gifts with those gathered inside. Then they left as they entered, climbing up the pole and back through the smoke-hole. Reindeer, known as caribou in North America, are deer found in the Arctic and sub-Arctic regions of Europe and North America. They feed on grass and lichens, but also crave the fly agaric toadstool, Amanita muscaria, because of its intoxicating and euphoric effects. The Sami have a custom of feeding fly agaric to their deer and collecting the urine to drink. The reindeer’s digestive system metabolizes the allegedly poisonous components of the toadstool, leaving urine with the hallucinogenic and psychotropic elements of the fungus intact. Drinking the urine gives a ‘high’ similar to taking LSD. Under the hallucinatory effects of the drink, the Sami thought their reindeer were flying through space, looking down on the world. The reindeers’ so crave the toadstool hallucinogens that they have been known to eat snow on which intoxicated humans have urinated, creating a reciprocating cycle. Apparently, when the first Christian missionaries reached Lapland and heard stories of such reindeer flight, they integrated those tales into Western folklore concerning Saint Nicholas. So, the association of reindeer with Christmas was well established for centuries before the 1843 publication of the The Night Before Christmas poem, and the 1949 hit song, ‘Rudolph the Red-Nosed Reindeer’ popularized it with masses of people. Thus it seems probable that the traditional image of Santa Claus originated in shamanistic rituals involving the red and white amanita muscaria mushroom gathered by shamans wearing red and white fur-trimmed coats. From climbing into chimneys and gift giving, to dressing in red and white and flying through the air with reindeer, travelers and storytellers have fused these ancient customs with other pagan traditions and imagery. And these pagan customs have pragmatically been adapted and integrated by Christianity into its Christmas traditions. Ho! Ho! Ho! And to All a Good Night. “… joy and sorrow are inseparable. . .
together they come and when one sits alone with you . . .
After a period of many overcast and rainy San Francisco days, I awakened on a Monday morning gratefully beholding the sun shining on the City and the Bay. So, I decided to enjoy the day with a brisk morning walk in the sun before my noon appointment at Soul Works chiropractic. But first, I went on-line and attended to current emails and SillySutras.com website issues. Consulting ‘Dr. Google’, I discovered a suggested code change which might correct a non-functioning website plugin that had stopped working months ago. Then, shortly before I planned to begin my walk in the sun, I decided to try correcting the faulty plugin, and made the suggested code change. But when I pushed the “save” button at the bottom of the plugin edit page, everything went blank – both SillySutras.com and my WordPress administrative dock. So, it appeared that my website was down and blanked out, and that – unable to access my administrative page – I needed immediate help from others to fix it. But I realized that if I then tried getting help, I wouldn’t have time for a walk by the Bay, and my noon chiropractic appointment. Nonetheless, instead of postponing my walk and appointment, I decided intuitively to walk in the sun and to my chiropractic appointment leaving the website blanked-out. That spontaneous decision was contrary to my long-time lawyer’s habit of quickly and compulsively correcting any such problems. After a delightfully brisk walk through Fort Mason open space and onto the SF Municipal Pier jutting into SF Bay, I arrived at Soul Works chiropractic in a very happy mood. But I was still wondering about my blanked-out website. So I asked Adriene, the lovely new Soul Works receptionist, if she would check SillySutras.com on her computer to see if it was visible or down. Adriene told me that “synchronistically” she too had a WordPress website, and she immediately understood my problem. She checked my website on-line and found that it was blank – just a white page with absolutely no public display or data. So, she recommended that I contact my web hosting service as soon as possible. At other times I might have become tense or upset and postponed my chiropractic session until after arranging to fix my crashed website. But, somehow, through all of this I stayed calm, and I felt that the synchronicity of talking to Adriene who had her own website using the identical WordPress platform that ran SillySutras.com was a sign from the Universe that I was in the right place at the right time. Moreover, after my wonderful brisk walk beside the Bay I was feeling especially happy and peaceful. So in that happy state, I stretched out on the chiropractic table, stilled my mind, and began deep relaxed breathing. Then, while lying prone on the chiropractor’s table with a ‘blanked-out’ mind, I suddenly saw the day’s ‘blanked-out’ website incident as a ‘cosmic joke’, testing whether Ron would witness it non-reactively and respond peacefully and appropriately – or whether he’d react reflexively, emotionally and impulsively. Thereupon, with that realization, I went into a state of bliss and was laughing continuously – sometimes singing – for half an hour. Over thirty years ago, while driving home to San Francisco from a retreat with my beloved Guru, Dhyanyogi Madhusudandas, I was suddenly taken out of my body and into a very subtle higher spiritual realm from which this world appeared as a mere play of consciousness – a sort of cosmic joke – where every appearance and happening was causally pre-determined by Cosmic Consciousness. Though that experience was life-changing and unforgettable, it is difficult for me to mindfully remember it in daily life, especially when viewing with compassion, and sometimes with tears, the disharmony and terrible suffering of Humankind and other life in this crazy world. But on the Soul Works chiropractic table with a blanked-out mind, I remembered the ‘cosmic joke’ blissfully, and laughed continuously. 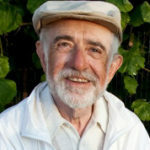 Emerging from Soul Works, I realized that it was infinitely more important for Ron to access his inner bliss with a ‘blanked-out’ mind, than his Silly Sutra writings on a ‘blanked-out’ website. So that Monday’s website emergency proved a disguised blessing, affording Ron an opportunity to witness his website crash dispassionately and non-reactively, and, hopefully to learn from that experience. Every adverse experience may be a disguised blessing – an opportunity to learn something important. 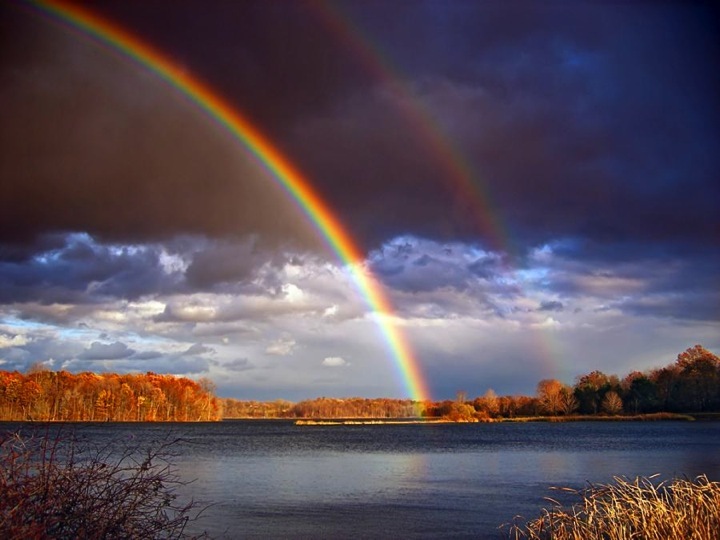 And synchronicities seen during such experiences can be signs that we are “in the flow” at the right time and place, despite apparent problems. viz. 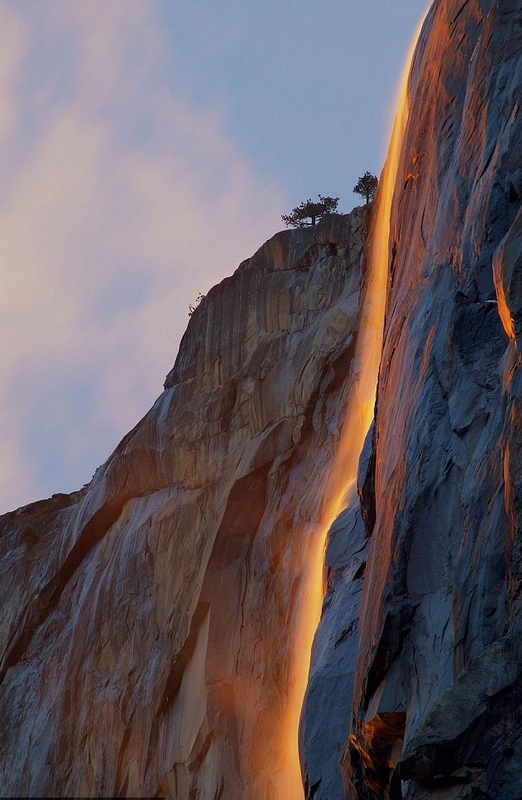 Life on earth has its unavoidable ‘ups and downs’ – its inevitable difficulties. So learning to experience life’s adversities skillfully and with equanimity helps us live happier lives and furthers our evolution. Misery is the mother of Bliss. PS. If you are reading this posting on SillySutras.com, you know that it is no longer blanked-out, and that Ron’s editing mistake was completely corrected after he enjoyed a few blissed out hours with a blanked-out mind. Hurray! On returning home from Soul Works I found an email from Lana Walker, my professional website advisor. I immediately replied telling her of the website white-out problem, which she quickly fixed a few hours after it began. And more people accessed the website that Monday, than any other day that week.